GrewSober, 04 Apr 2011I used to have this since I used to be a big fan of Sony Ericsson but due to the phone`s softw... morehandle ur Samsung Galaxy Ace very carefully when compared to x8 are'nt else u will suffer alot mr.
dinnn, 01 Apr 2011My X8 cannot receive file (music, pict and video) using bluetooth. after that error icon (tria... moretry to install bluetooth file transfer application available freely in android market. I used to have this since I used to be a big fan of Sony Ericsson but due to the phone`s software,hardware & features limitation I've replace my X8 with the Samsung Galaxy Ace. What can I say?! I am now a convert. Samsung do really gives you your money's worth when you buy their phones. Goodbye Sony Ericsson. Looking forward to have the Samsung Galaxy S II! Bought this phone a week ago and I'm experiencing many problems already..
so why d hell u want to go 4 c5.....????? is this cellphone qwerty or alphanumeric? i don't know which one i want to buy? 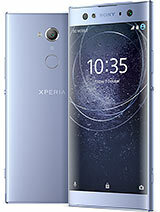 i think i want nokia c5-03 than experia..but the seller always convince me take dis one..coz it was fun rather than nokia c5-03..but after i read all d comment on xperia x8,i think i wouldn't buy dis sony..plss gve me good reason on buying dis phone..i plan to buy dis on dos weekend..
guys..this phone has no zoom in and zoom out in camera??? i bought this phone yesterday..>>>and it sounds good to me..nice one sony ericsson..waiting for sony ericsson xperia arc!!!! how to make instant messaging in g mail? watch my unboxing for the black one! Hi everyone. I'm planning to have one of this. I'm a lover of Sony Ericsson phones, but the only problem with SE phones is the battery life. My question is, can X8 have enough juice to suit my music usage??? i thought it first that its really nice device but ,it take some more time to open a message and send a msg to any one,CAN ANY ONE SAY A TIP IMPROVE THIS ? first i bought this phone, a little bit confuse with the human interface. but step by step i learn, i think the phone is the best price in the middle class. especially for android market, i can install many variation of program and still many more of HD game. i recommend all of you to try this phone. i love my xperia x8. diz is the a very good phn made by sem..cost effective price android smart phn...has a.gps..wifi...and durable also and trst worhty phn and very very user friendly..
hey tel me which is better to go 4???? does it works really well with 16gb memo card????? or it gives problm???? My X8 cannot receive file (music, pict and video) using bluetooth. after that error icon (triangle shape) appear on status bar, look like no way to remove that icon.